Time to Think About Graduation! Continuing students who have satisfied the University Writing Skills Requirement can log into MyCSUEB and click on “Apply for Graduation.” After filing, students should print the final confirmation page and give a copy to their major and minor departments to initiate a graduate check. Discontinued students can file for graduation using the Graduation Application - Closed Matriculation form on the University website under Student Records Forms. Note: Students are advised to review completion of degree requirements with their department before filing for graduation. Degrees are awarded within three months after the student’s final term of attendance. Students are advised to review completion of general education requirements and to consult with their major and minor departments before filing for graduation. Students are responsible for filing for graduation by the established priority deadlines. All students must have completed the University Writing Skills Requirement (UWSR) in order to apply for graduation. Undergraduate students must have completed 90 semester units in order to apply for graduation. To register as a graduating senior, students must have filed for graduation by the time registration appointments are assigned and have earned a minimum of 100 semester units; a student may file for graduation when they have earned 90 semester units but must complete 100 semester units to receive priority registration. Students who cannot complete all requirements by their anticipated graduation term may postpone their graduation to the next consecutive term with approval from their major department. Students who file for Fall graduation may postpone to Spring. Students who file for Spring graduation may postpone to Summer and/or Fall. To postpone their graduation, students must complete a Graduation Postponement form, and may be charged a processing fee of up to one half of the current graduation filing fee (the fee is only applicable to undergraduate students). A graduation evaluator may also postpone a student’s graduation if they determine all degree requirements will not be met. Any student with more than 144 semester units who wishes to postpone their graduation term must also obtain approval from the Dean of Academic Programs and Services and may be placed on an academic contract for the remaining coursework. Students should submit the Graduation Postponement form well in advance of the opening of registration for a given term, and no later than the end of the Add/Drop period of the term originally intended to be the student’s final term. Changes in the information on the diploma (i.e. change of name, address to be sent, deletion of an incomplete minor) must be submitted no later than the end of the Add/Drop period of the intended term of graduation. After filing for graduation, students must contact their major department to complete an official “Major Check” showing all completed and remaining requirements for the major. The department must submit the major check to the Office of the Registrar by the deadline listed above. Students are strongly encouraged to check with their academic department by the deadline to be certain a major check has been filed. If students are completing a minor and want it recorded, they must request that a “Minor Check” be submitted by the department offering the minor to the Office of the Registrar by the deadline listed above. If a substitution or waiver petition is approved for major, G.E., or other graduation requirements, students must be certain the approved petition reaches the Office of the Registrar at least four weeks before the end of their final term. Degrees are conferred three times a year for students who have filed for graduation and completed all degree requirements: August (Summer), December (Fall) and May (Spring). The date on the diploma reflects the semester in which the student completed all degree requirements. The final graduation evaluation process typically takes up to three months following the posting of grades from the student’s last term of attendance. The student’s diploma will be ordered and mailed to their permanent address of record with the university approximately 6-8 weeks after the degree has been awarded. Participation in a Commencement Ceremony is different than graduating and earning a degree. Graduation applicants who are candidates for a degree during the Fall, Spring, or Summer term of the same academic year or school year as of March 1 are eligible to participate and their name will be printed in the official commencement program. There is one University Commencement each year, held in the Spring. In order to protect the integrity of its transcripts, the University will not make any changes to student records unless there is documented evidence of University error. Once a degree is posted to a student’s permanent record, the diploma and transcript cannot be altered by adding additional options and/or minors, or by grade changes, withdrawals, and/or grade forgiveness. Transfer courework submitted after degree posting will not be reflected on a student’s record. Students who believe that they have received a grade in error should promptly ask the instructor to verify and, if appropriate, correct the grade. If an error was made, the instructor of record must indicate specifically the nature of that error on the Change of Grade form and submit the completed form to the Student Records Office. Students who feel they received a grade due to unfairness would also have one semester to pursue their allegation of unfairness through the University’s Grade Appeal process. Students must notify the Office of the Registrar of any errors in their grades no later than the semester subsequent to the semester in which their degree is awarded or upon completion of the Grade Appeal process. The Registrar’s Office may also seek clarification of the error from the Department Chair. If the instructor is absent from campus during the semester subsequent to the semester in which the student’s degree is awarded, the student shall promptly consult with the Department Chair about the grade in question. If the Department Chair is unable to contact the instructor, the chair will notify the Dean of the College and the University Registrar in writing that an extension of the grade correction deadline, up to one year after the degree has been awarded, has been requested. For purposes of correcting an error, an instructor may change a grade with approval of his/her Department Chair and College Dean. No grade may be changed once graduation has been recorded unless an error has been made in which case students have one semester after their degree has been awarded to dispute the grade and have it corrected, or if a Grade Appeal petition has resulted in a grade change. The administrative symbol for withdrawal cannot be assigned by a faculty member. See the Registration chapter for the description of withdrawal policies and procedures. Important: Students are advised to review completion of degree requirements with their department before filing for graduation. in person in the Academic Services Office on the Concord Campus. The Graduation Application Fee covers the cost of the graduation check of coursework, completing the diploma, and participation in the annual commencement ceremony. Note: the application fee does not include the cap and gown rental/purchase, handled separately by the Bookstore. Note: When a student files for graduation, they may obtain a new registration priority. Graduate Students: Considered a “Classified Graduate” who is recommended for Advancement to Candidacy by their advisor and who has made substantial progress towards their degree, or filed for graduation by the priority filing deadline. Note: This content has been changed, please see the Errata chapter for information. Graduated from any one of the CSU campuses; unless it is noted on the transcript that the UWSR (or GWAR) was not satisfied. Received an essay score of 4.5 or higher on the GMAT or GRE or an essay score of 53 or higher on the CBEST. Undergraduate students are required to begin steps to satisfy the University Writing Skills Requirement after completing 60 semester units. Students who do not enroll in an appropriate course or register to take the Writing Skills Test in their first semester after completing 60 units will have a registration hold placed. The hold will be lifted as the student progresses towards completion of this requirement. Note: Undergraduate students cannot satisfy this requirement before completing 60 units. For undergraduate students, completion of GE Area A2 and ENGL 200 or another approved second composition course, which are graduation degree requirements, is also required before attempting to satisfy the UWSR. Option One: Register for and pass the Writing Skills Test. See Writing Skills Test (Option One) below. Option Two: Enroll in and pass a first-tier writing course (ENGL 300 or ENGL 301 ) and possibly a second-tier course, as well. See Course (Option Two) below. The Writing Skills Test (WST) consists of an analytic essay that requires students to demonstrate that they can think and write critically. A score of Clear Competence (8) is needed to meet the requirement. Students who do not meet receive the Clear Competence designation on the first attempt have only one opportunity to take it again; a score of Clear Competence on the second attempt satisfies the requirement. If both tests are scored as “Limited Competence (6)”, they will be required to take the course option (see below). If one or both scores is “Developing Competence (7)”, they need only take a second-tier course to satisfy the UWSR (see below). Note: There is a fee for the WST. See the Fees & Financial Services chapter for more information. ENGL 300 and ENGL 301 are the first-tier writing courses designed to help students meet the University Writing Skills Requirement. Students who have not attempted the WST or those who have taken the Writing Skills Test (WST) and have received Limited Competence (6) must take either ENGL 300 or ENGL 301 and perhaps a second-tier writing course as well. Students who have not taken the WST twice may take it even when enrolled in a writing skills course. Generally speaking, ENGL 300 is intended for native speakers of English, while ENGL 301 is intended for non-native speakers. Based on end-of-course portfolio evaluation scores, at the end of the first-tier course they will be advised as to their next step, which will involve one of the following: they may be found to have met the UWSR requirement altogether; they may be directed to enroll in a second-tier course; or, they may be directed to repeat the first tier course. Generally, two second-tier writing courses are regularly offered: ENGL 302 and MKTG 305 . Students who passed the quarter-based equivalents to these courses (ENGL 3003 and MKTG 3495) prior to fall 2000 may not have met the UWSR. For more information on these courses, contact the individual department. Courses approved for second-tier writing are listed here: Second Tier Courses . Students who pass a second-tier writing course with a C- or better (or “CR” if taken as CR/NC) have satisfied the UWSR. Students who have taken the first-tier writing course three times consecutively, have not passed, and have a letter of good faith effort from their most recent first-tier instructor may apply to the Dean of Academic Programs and Services for a waiver of the UWSR. If a waiver is granted, the student’s permanent record will note that they were allowed to graduate without having satisfied the UWSR. Students who do not satisfy the requirement and do not have a waiver approved will not be allowed to graduate. Contact the Dean of Academic Programs and Services for information on this waiver at (510) 885-2990. If a student receives a grade of “D+” or “D” in a second-tier writing course (taken Fall Quarter, 2000 or later), they may appeal to the Dean of Academic Programs and Services for a waiver of the UWSR. If a waiver is granted, their permanent record will note that they were allowed to graduate without having satisfied the UWSR. Students who do not satisfy the requirement and do not have a waiver approved will not be allowed to graduate. Contact the Dean of Academic Programs and Services for information on this waiver at (510) 885-2990. Students who have a verified disability and would like to request accommodations to assist them in satisfying this requirement should contact the Accessibility Services in the Library Complex 2440 or call (510) 885-3868 (phone/TTY). For more information on meeting the University Writing Skills Requirement, see the Testing Office website or call (510) 885-3661. If a student is completing an undergraduate Single Subject Matter Preparation program for entry into a teaching credential program, or they are completing a graduate Single or Multiple Subject Credential program, they should NOT file for graduation. Matriculated students who have not enrolled in classes at Cal State East Bay for two consecutive semesters (not including summer or winter sessions), and do not enroll in the third consecutive semester lose their continuous enrollment status and their graduation requirements will be governed by the catalog in effect at the time they reenter. If a student is absent due to an approved Planned Educational Leave or to attend another accredited institution of higher education, they will not lose their catalog rights as long as they are not away from Cal State East Bay for over two years. Transfer students who attended another CSU campus and/or California Community College have Cal State East Bay catalog rights from the time they began at the other institution if they have continuous enrollment as noted above. Note: The principle of catalog rights refers to degree requirements, not policies, fees, services, and other matters which, when they change, apply to all students. For that reason, students should check the latest online catalog. Also Note: Requirements of certain programs (e.g., teacher credential programs) are governed by outside agencies. The requirements of these programs are subject to change based on changes dictated by these outside agencies. Due to semester conversion, during the 2018-19 academic year only, students with rights to earlier catalogs may request rights to this Catalog for either their major or their graduation requirements or both. Forms are available on the Registrar’s website. Students’ catalog rights for their major, minor or degree are governed by the catalog in effect at the time the student declares their major, minor, or degree. Undergraduates will not lose catalog rights for graduation requirements (including general education) by declaring or changing their major if they maintain continuous enrollment. Catalog rights for graduate students are governed by the catalog in effect at the time the student was admitted to their program. As noted earlier, they may select the graduation catalog when they file to graduate. Students should note, however, that there is a requirement that courses in master’s programs expire after five years; see the Master’s Degree Requirements section of the Graduate Degree Requirements, Policies, & Other Information chapter. 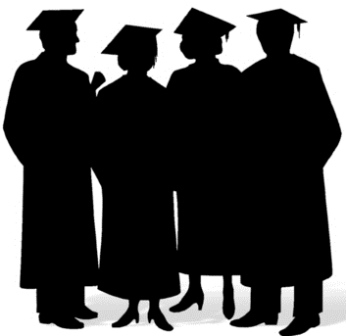 After a student has completed all degree requirements and the graduation evaluator has verified their completion, their degree will be conferred and their diploma will be ordered. The final graduation evaluation process typically takes up to three months following the posting of grades from the student’s last semester of graduation candidacy. The diploma will be mailed to the student’s permanent address of record with the University 6-8 weeks after the degree has been awarded. A diploma is an official document containing the embossed seal of Cal State East Bay, the student’s name, the degree conferred and date, major(s) completed in the degree conferred, any concentrations or minors completed, and the signatures of state and University officials. It is not reproducible or available in multiple copies. Students can obtain multiple copies of their record by ordering transcripts which also show degrees, majors and concentrations, as well as other information. If a student needs proof of completion of their degree before receiving their diploma, they may request a verification of graduation or a transcript from the Office of the Registrar. the student pays the fee for a new diploma. After the degree is posted to a student’s permanent record, a student’s diploma and transcript cannot be altered by adding additional options, or by grade changes, and/or withdrawals. The University protects the integrity of its transcripts and will not rewrite history unless a University error has occurred.